I am sure I am not alone in saying that sometimes you just HAVE to have a cookie. A nice, straight out of the oven, nice and warm and melty, freshly baked cookie. 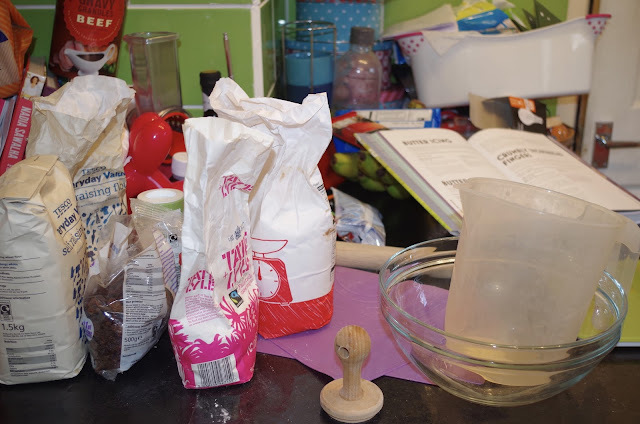 I am also sure that I am not the only person to say that despite really craving the latter sometimes the thought of getting all the ingredients out of the cupboard and actually making the cookies, before having to do the washing up, means that you end up missing out on a special treat. Fear not cookie friends as Mo's Cookie Dough has thought of this and sells wonderfully scrumptious, quick to bake, cookie dough to take away all the stress and mess of having a lovely home-baked treat. Mo's Cookie Dough is a roll of pre-made cookie dough, made from the finest Scottish ingredients, that you just have to take out of the packet, slice, put on a baking tray and bake. Yup that is it. From start to tummy in just 10 minutes. Really. 10 minutes!!! It sounds too good to be true but I can assure you that it isn't. I could not resist the offer of being sent a same of the cookies to test. The cookie dough can be kept in the fridge for up to six weeks or frozen for up to a year (up to a year haha what a joke, wouldn't last 5 minutes in this house!). They can even be cooked form frozen. Once you have removed the dough you slice it to about 1cm thick, then lay on a baking tray and cook at 180C for 8-10 minutes. No rolling, no cutting. Of course if you want fancy shaped cookies then you can roll if you want (I tried and it worked fine). I could not believe just how easy they were. I had expected to have to mix them up a but, or roll them, or at least have to do something that took longer than five seconds to cut. I am no disappointed in the slightest by this and I think it definitely adds to the joy of having them. As I said before I love a gooey cookie so I always cook for as little time as possible and these were cooked to perfection. Nice and thick and the chocolate was melted. Absolutely wonderful. Of course M had to help me test and I think it is fair to say they were a hit. From start to finish in 10 minutes. Even the hubby could do it! They are Scottish, using high-quality Scottish ingredients, and we love a Scottish company! Nowhere close sell them (we don't have Wholefoods, Ocado, Waitrose or Booths anywhere close to here and haven't seen in any ASDA). I used to locator tool but it doesn't seem to work yet.